“WE is not about you and me or even ‘us,’ the band. It’s about finding our way in the world one day at a time trying to live out each moment until the sun goes down.” Parsonsfield has been through the wringer of ups and downs and decided for the first time since the band’s 2011 conception to take a two-month break from touring to focus solely on recording. The result is WE, a contemplative EP filled with real life struggle and excitement. The album takes us from the joys of childhood discovery to the depression and confusion of a quarter-life crisis, and ends with dancing your way toward the darkness at the end of days. In a concise five songs, WE captures the band’s maturing sound, winding its way through a full range of emotions. It has as much influence from 90’s rock and 70’s R&B as it does the folk-pop material that fans have come to expect from the western Massachusetts based outfit. The album opens with a forlorn mandolin that grows into the groovy “Light of the City,” a song about profound loneliness in the most crowded place on earth. “Go Find Yourself” captures the fading of childhood excitement as you tumble down a prescribed path toward the rest of your life, realizing it won’t bring you happiness. 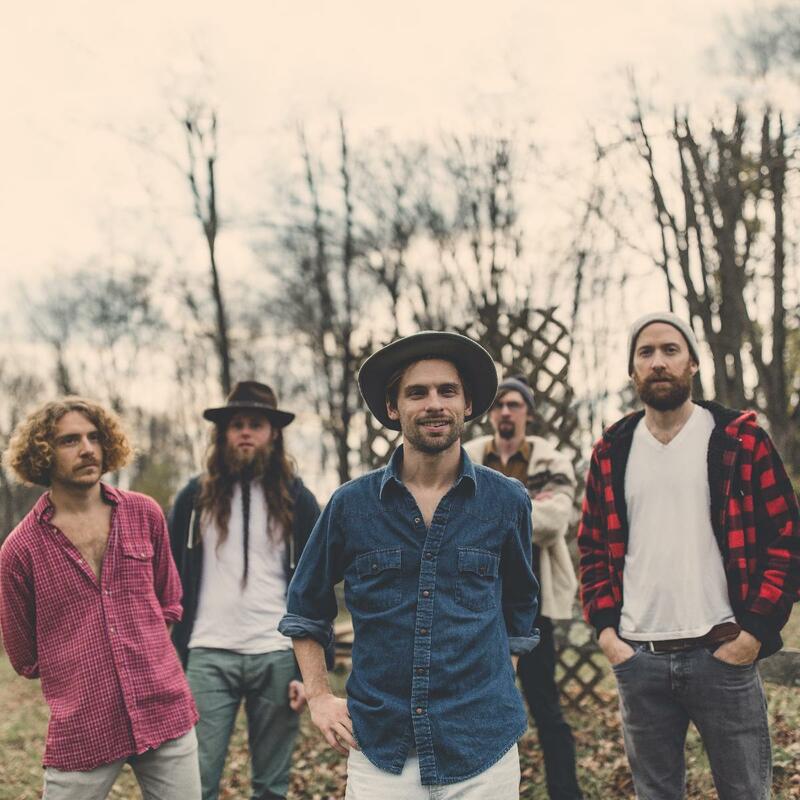 The song takes a cosmic step back and pleads, “when love comes to find you, don’t run and hide.” The danceable, invigorating “Kick Out The Windows,” written in reaction to Dylan Thomas’ poem “Do Not Go Gentle Into That Good Night,” is a resonant anthem of defiance and redemption, showcasing Parsonsfield’s enduring vein of passion. WE is the highly anticipated fourth release from Parsonsfield, a quintet praised for making "the most jubilant and danceable indie roots music this side of the Carolinas” (NPR). The band continues to push the boundaries of their harmony- driven grassroots origins creating their own distinctive Americana, integrating pop and bold rock flourishes along the way.